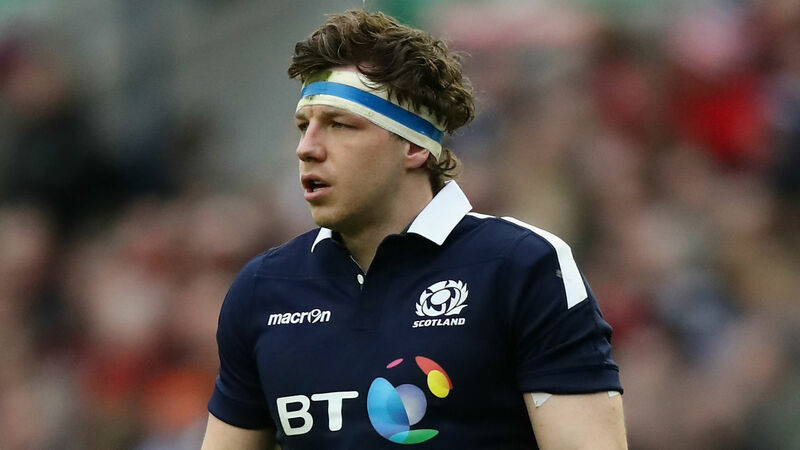 The flanker fractured his right hand in Edinburgh's European Champions Cup win over Montpellier last Friday and could miss the entirety of the Six Nations. "To lose someone like Hamish is disappointing," said Townsend. "But it is an opportunity for someone else." Despite only narrowly overcoming Italy 29-27 in last year's tournament, Townsend knows the pressure will be on his side to triumph on home soil. "The expectations in Scotland will be high, but we realise that it is a very tough game to start with," he said. "We have lost a number of times to Italy and we should have lost to them last year. They are a very tough team to play against, and Scotland teams in the past have found it very difficult."